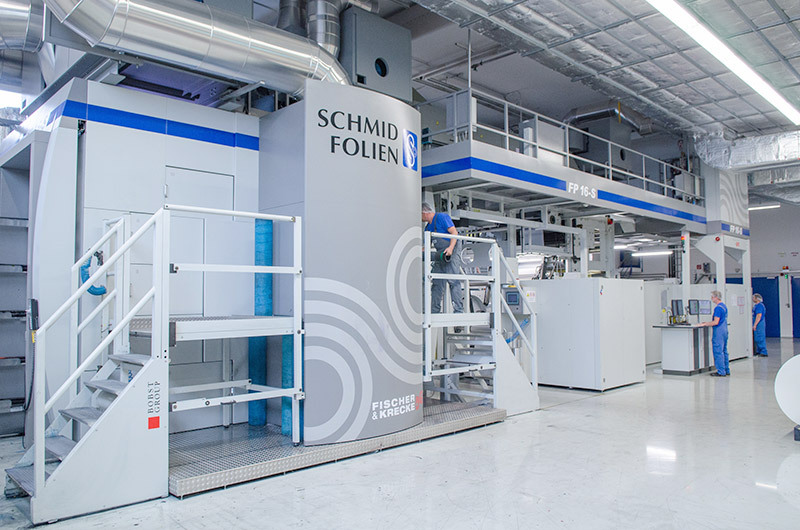 Schmid Folien Dietmannsried - Know-how and high tech guarantee a perfect result. Know-how and high tech guarantee a perfect result. In hardly any other field is proper packaging as critical as in the food industry. And that from multiple points of view. For marketing reasons, the visual effect naturally plays an important role. But the outward appearance must also be appropriately selected with regard to preservation of product quality. We use diverse material compositions of aluminum, plastic and paper to help dress your product in what is certainly the perfect "outfit." Our "Colorimetry Team" provides for the right tone. All desired customer requirements are developed and prescribed with the aid of our modern dye shop with tank system and computerized dye mixing equipment. Your desired colors are developed spectrophotometrically. Coordinated print colors are archived in our ultramodern OptiColor control software and can be mixed exactly at a later time as needed. 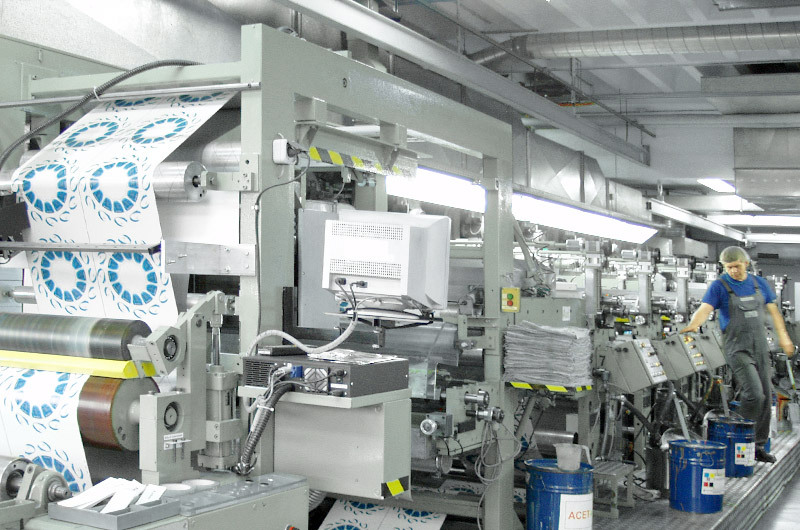 A motivated team and the most precise print technology guarantee the highest print quality. 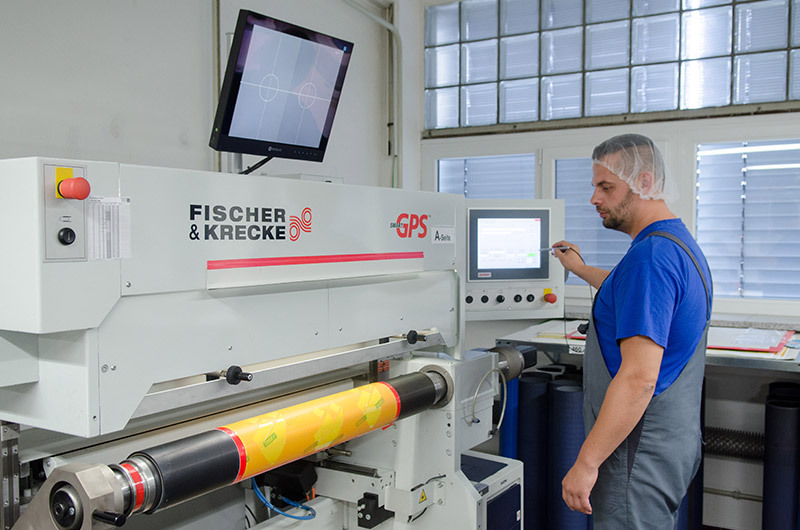 On our ten-color central cylinder press with integrated SmartGPS, the print feed of the raster and format rollers can be automatically adjusted. SmartGPS supports computerized color coordination in the printing process. 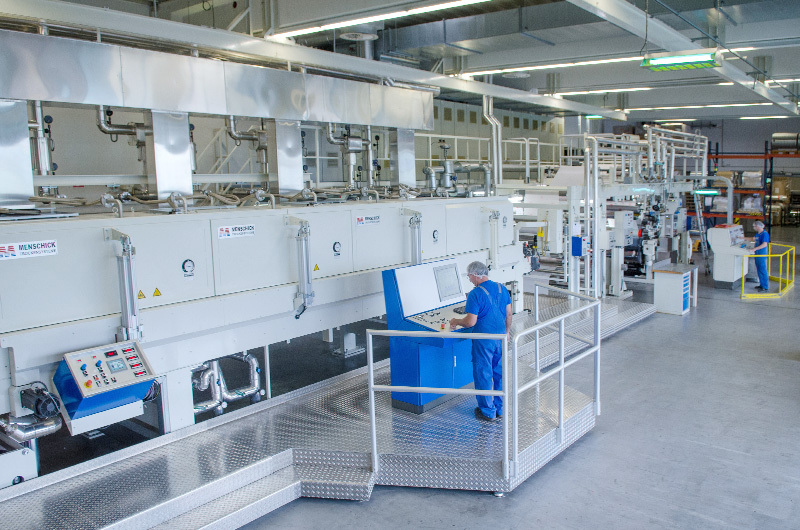 This means: little maculation, hardly any dye waste, savings of energy and machine time. Perfect printed images are the result! Ultramodern technology paired with great flexibility—we meet the requirements of the market and make ourselves a trusted partner in all areas of flexible packaging. Modern package design today places great demands on the technological possibilities in flexographic printing. Our product development constantly responds to new trends in order to guarantee the right "outfit" for your packaging. 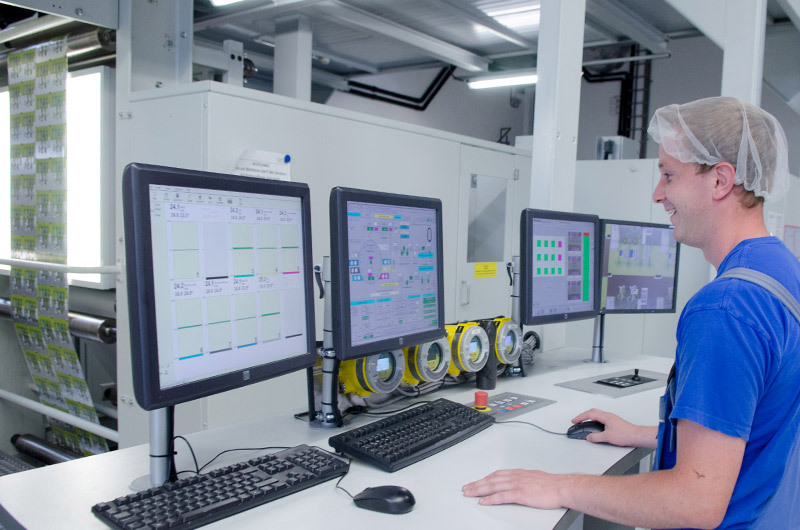 In cooperation with our long-term partners, our prepress is perfectly coordinated with all production processes. 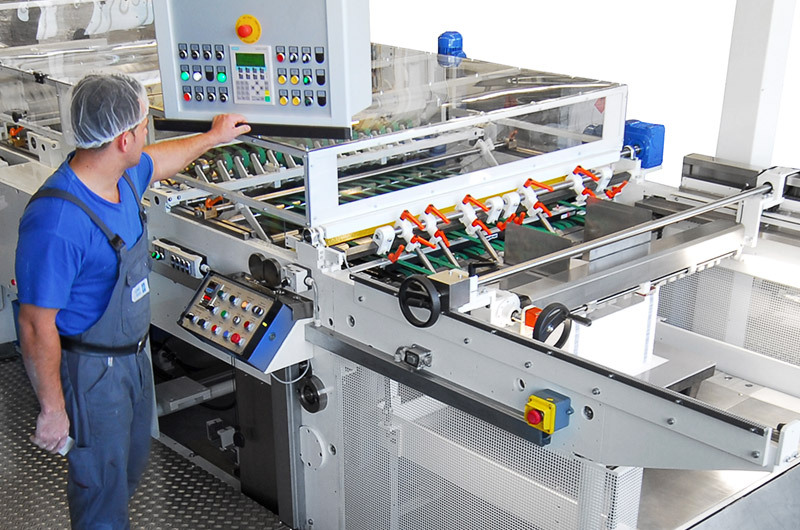 Ultramodern assembly technology ensures precise printing execution. 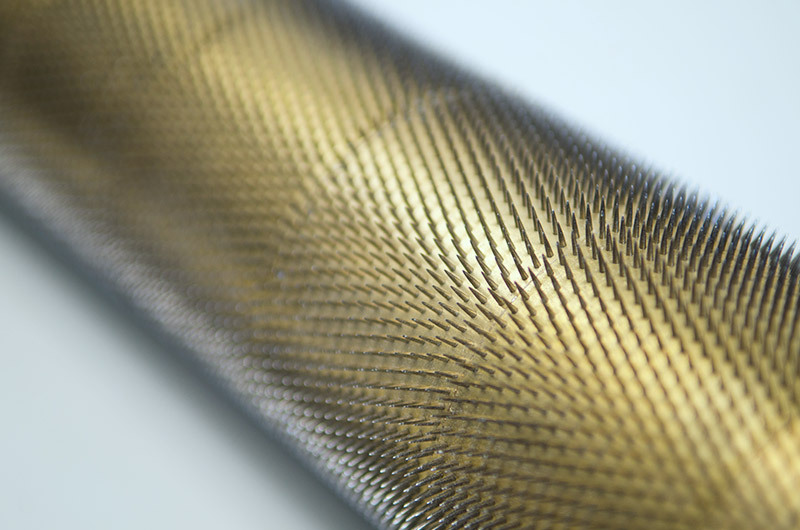 Lamination produces a composite of different materials in order to optimally coordinate the quality and the material properties of a foil for the wrapped product. The application of wax or glue, foil strength and finishes vary here depending on the requirements specification. Regardless of the need—shelf life, protection or an attractive look—our flexible packages stand up to their challenges. 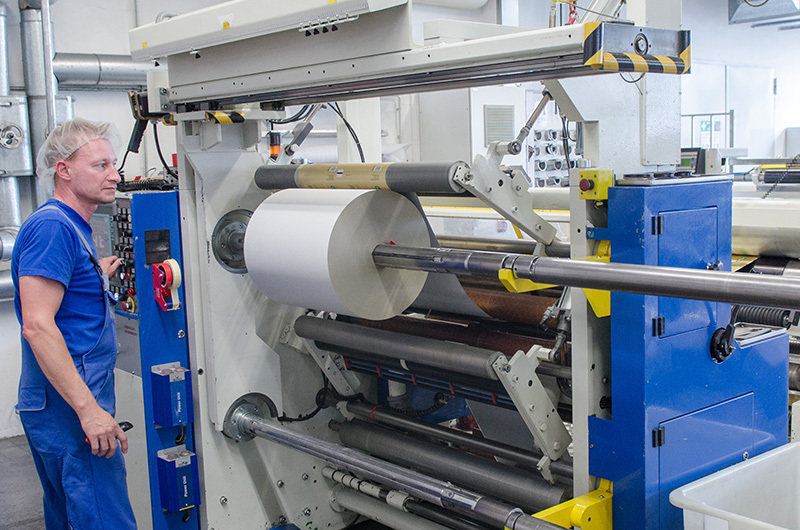 Our modern machinery contributes decisively to production success. Suitable only for printing rough images in the 1950s, thanks to technical innovations in recent decades, flexographic printing has developed into an increasingly serious alternative to intaglio printing. We are therefore constantly investing in the expansion of our machinery so that your products are also packaged at the highest level. This precise printing technique, painstaking quality controls and our motivated team in this way ensure the highest print quality in-house. The products are then available for pickup or delivery by our logistics partner. Creativity and imagination are especially sought after in the area of cheese wrappers. Whether you need sheets for hand packing or rolls for your automated packing machines, thanks to the diverse options from the house of Schmid Folien, your soft cheese, red smear cheese, semi-soft cheese, natural cheese, blue cheese or cheese spread are always optimally packaged. Apart from that, we also produce die-cut parts for the great variety of cheese label designs and materials. Rely on our experience. For this product range, we produce aluminum foils with full light protection, laminated against moisture-resistant, greaseproof paper as well as food-safe special paper and vegetable parchment. Depending on the packing machine, the foils are furnished with a thumbhole or a revenue stamp. All desired customer requirements are developed and prescribed with the aid of our modern dye shop with tank system and computerized dye mixing equipment. Our ten-color central cylinder press is really impressive! 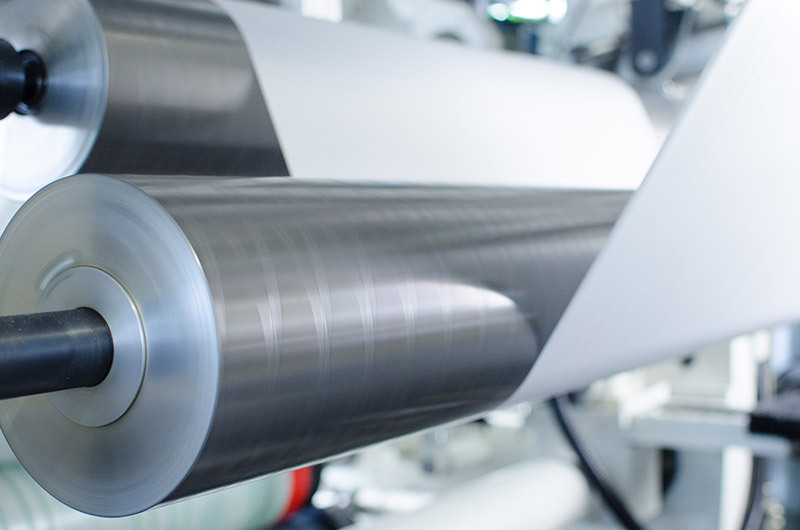 On this press, we produce aluminum foils with full light protection, laminated against moisture-resistant, greaseproof paper as well as food-safe, special paper and vegetable parchment. 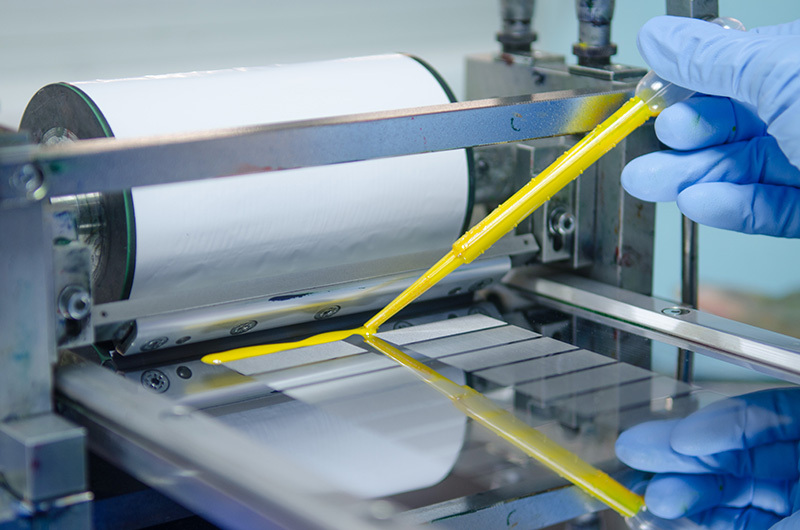 In addition, plastic foils can be produced with front-side or back-side printing, which can then be laminated in combination with paper or aluminum foil as well. Acquaint yourself with our production possibilities! 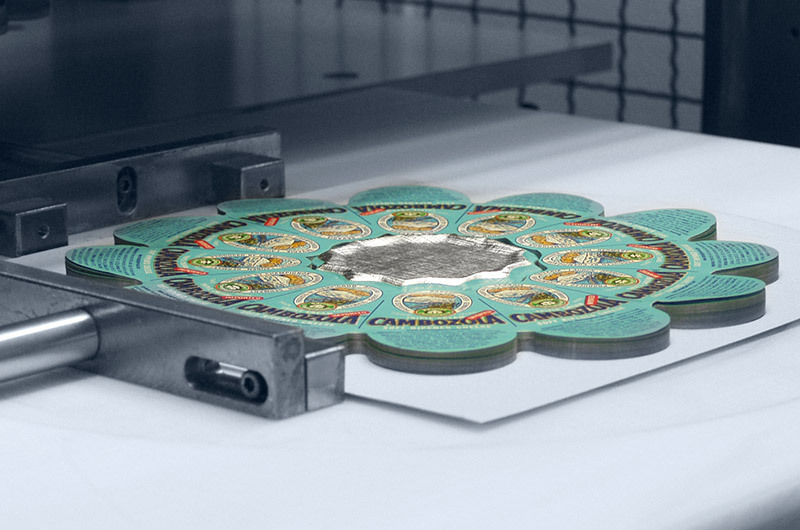 Round, angular or unconventional forms: We can get your cheese labels into shape with our die stamp. Tools of hardened steel provide excellent unstacking as well as cost-efficient production for short runs. In cooperation with our long-term partners, we produce the most diverse forms and sizes of sealing caps (covers). Automated packaging foil in various mono or laminated composites is as much a part of our product range as embossed or perforated foils. Regardless of which rectangular or square format your packaging represents, we customize blanks in the sizes you wish.